Hey everyone! This is Piyopiyo from the Sapporo Studio. Our studio is located right in front of the Sapporo Clock Tower. This is how the clock tower looks right now. It’s flat! Or in industry lingo, it’s 2D!! Apparently they’re doing renovation work and it’ll be closed from June 1 to October 31, 2018. 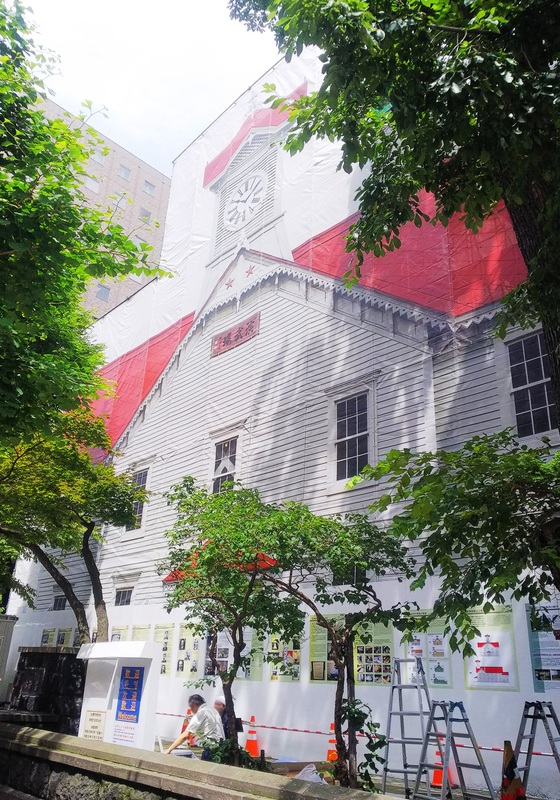 Why not pay a visit to Sapporo this summer to check out this super rare (flat) clock tower?